Update Jan 07 11:35 AM EST : Launch is scheduled for tomorrow, Jan 08. 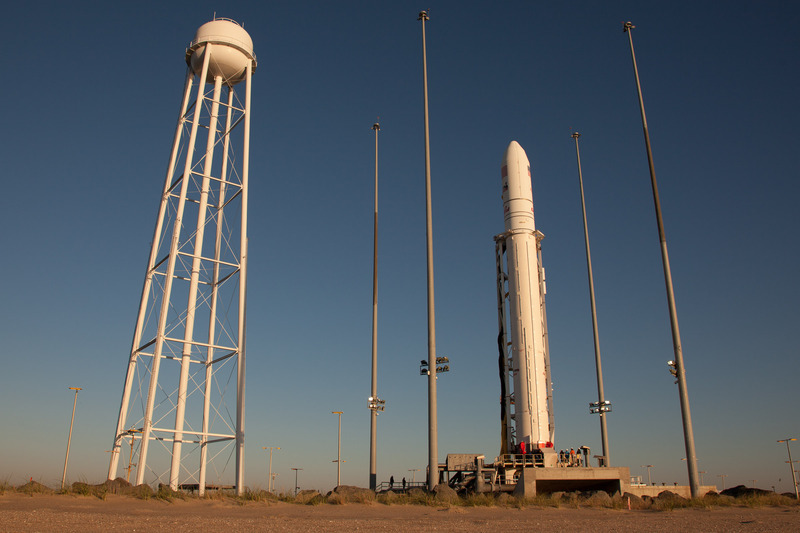 The launch window runs from 1:32-1:37 pm EST (18:32-18:37 GMT). 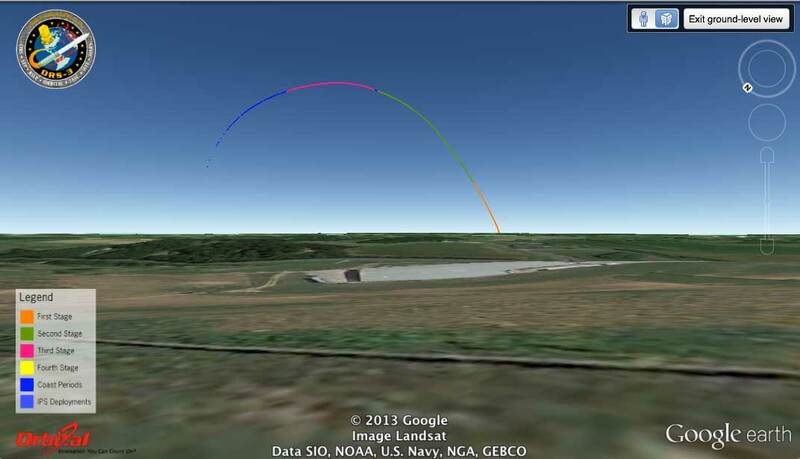 Another day, another rocket launch out of the Mid-Atlantic Regional Spaceport. 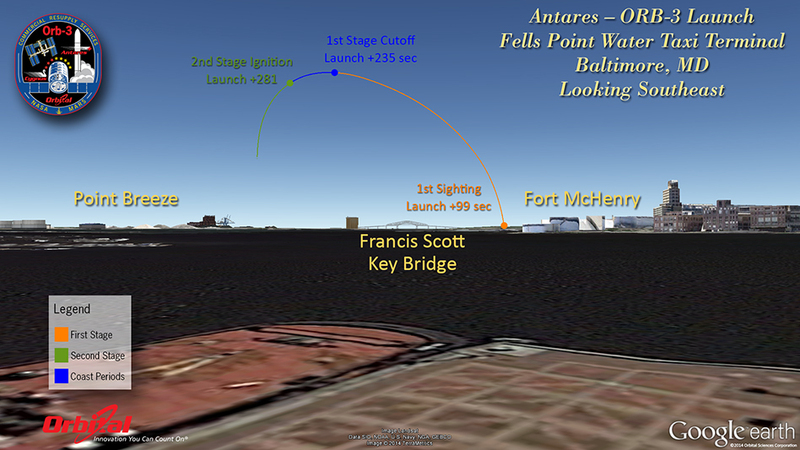 This time it’s an Antares rocket carrying a Cygnus cargo ship up to the International Space Station. 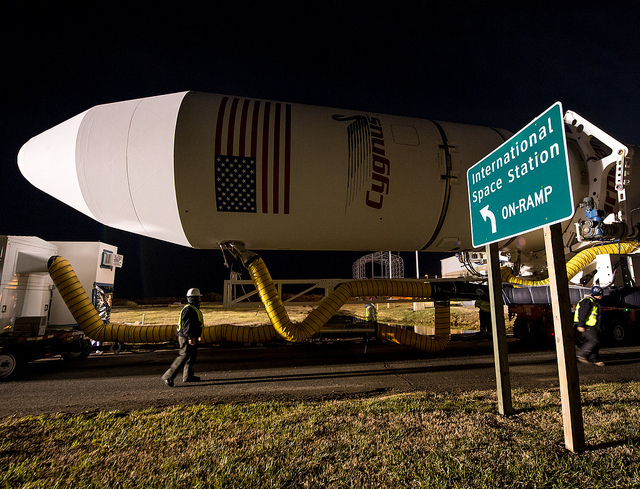 Orbital Sciences corp launched a Cygnus to ISS back in September as a demonstration flight, giving NASA and Orbital the experience to take on regular resupply flights to the station, beginning with this week’s launch. 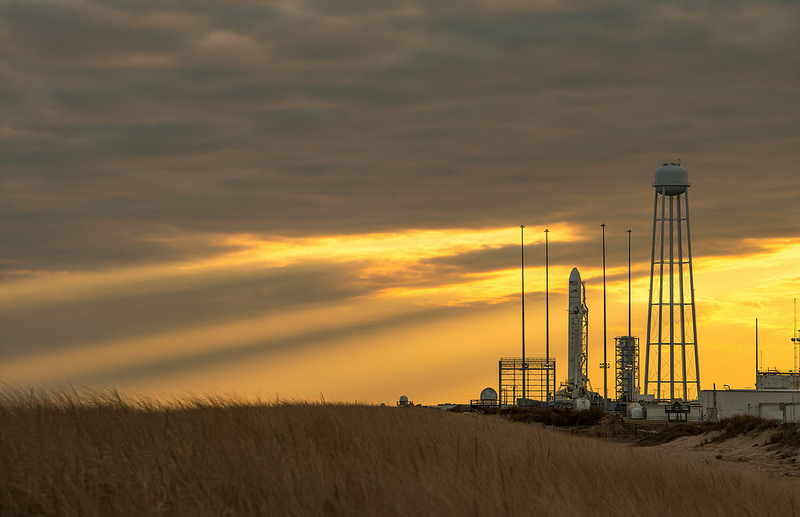 Antares was rolled out to the launch pad last night and there’s a really nice photo set on Flickr you can check out. 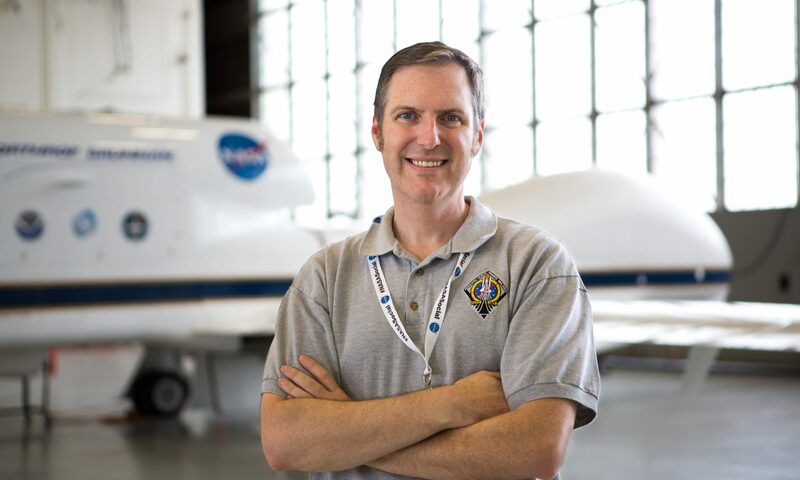 Launch is currently scheduled for 9:19 pm Eastern time on Thursday, Dec 19, and yours truly will be there to cover it because they gave me press credentials (does happy dance). Now keep in mind that NASA are currently working a cooling pump problem aboard the space station. They’re not sure if they can limp along with a backup system or if they will need to do a spacewalk to make repairs. If they decide to go ahead with an EVA, this launch could be postponed again, so stay tuned. Antares is a liquid-fuel rocket, which means it should produce a yellow-white colored exhaust arcing quickly across the southeastern sky like what you see in the images above (except at night). The launch window is from 9:19 – 9:24 pm EST on Thursday (02:19 – 02:24 am GMT Dec. 20) . 1:32-1:37 pm EST on Wednesday (18:32-18:37 GMT). They’ll try to launch on time at 9:19 1:32 but keep in mind that the farther you are from the launch site, the longer it will take for the rocket to clear the horizon. 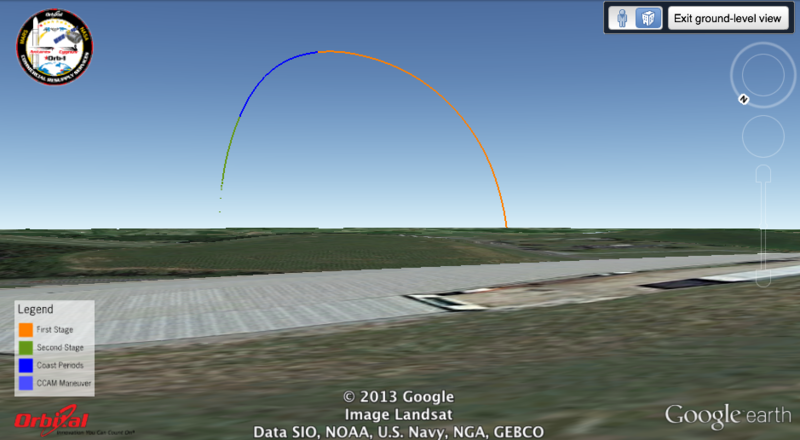 The images I show above assume a flat horizon all the way to Wallops, and we know that’s not the case. 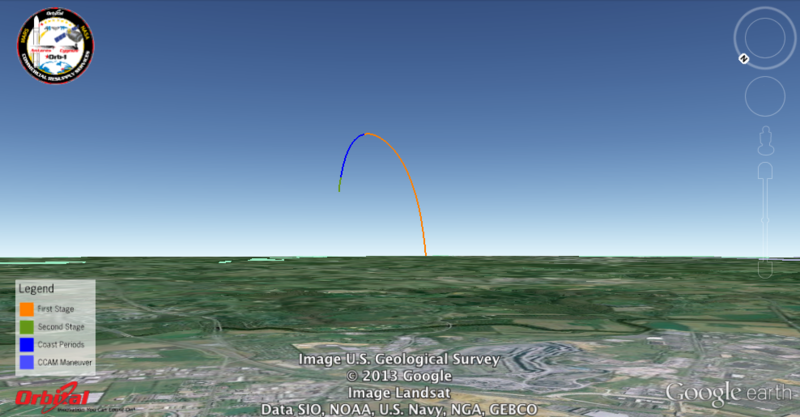 Fortunately, Orbital created a first sighting map to give you some idea of when you should expect to see the rocket clear the horizon (keep in mind though that it would have already moved slightly eastward by the time you pick it up). Antares is a two-stage rocket, so it will appear to dim and then light up again a little further to the east as the expended stage is jettisoned and the next stage ignites. If you have a smart phone and a good 3G or 4G signal, you can monitor the countdown on the NASA app for iPhone or on Wallops’ live stream. 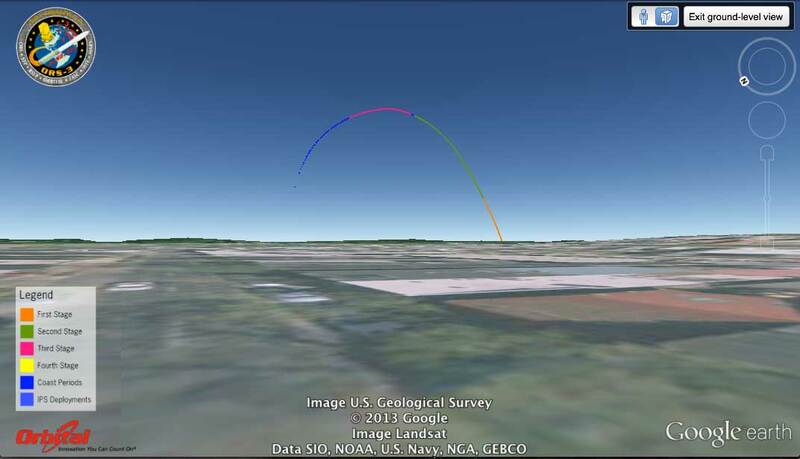 Android users might want to check out the What’s Up at Wallops app, which contains a compass showing the precise direction for launch viewing. 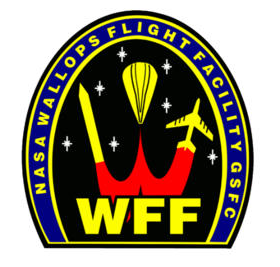 You can also monitor NASA Wallops on Twitter and Facebook as well to stay on top of the countdown and make sure nothing has been postponed so you can time your viewing just right. …keep in mind that everything coming down to your tablet or cell phone is probably going to be a minute or so after the fact. 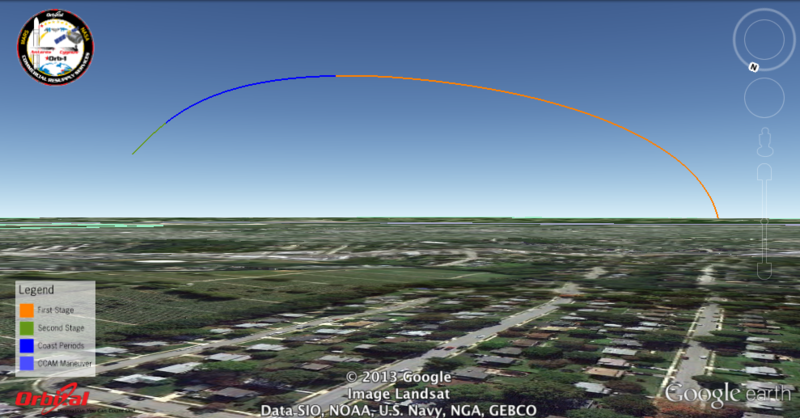 If you wait until you hear them say “liftoff” to go outside and look, the rocket may already have reached orbit. 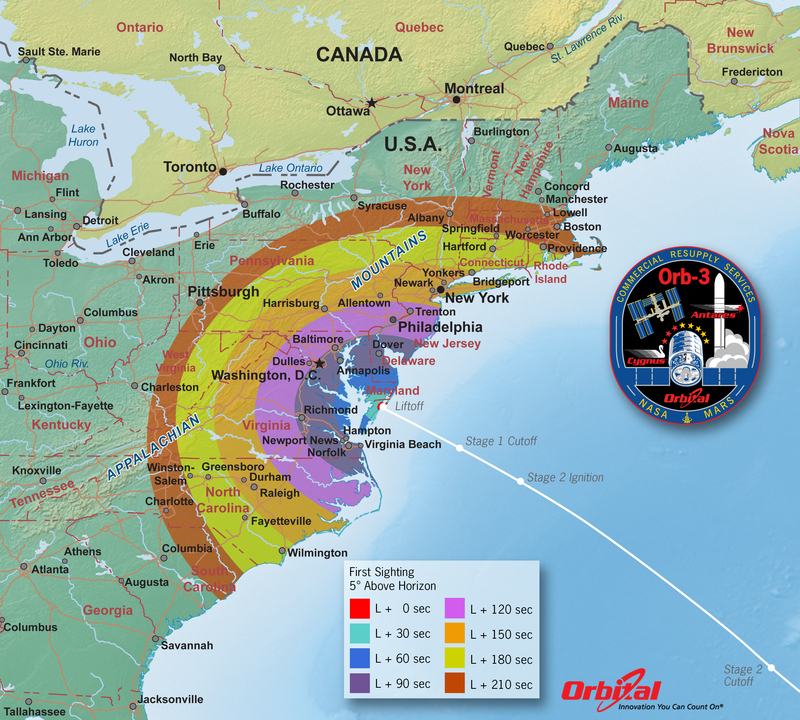 Instead, listen to / follow the countdown to make sure the launch time hasn’t changed, and then use your cell phone’s clock to make sure you’re really at L-0, *then* look toward Wallops! 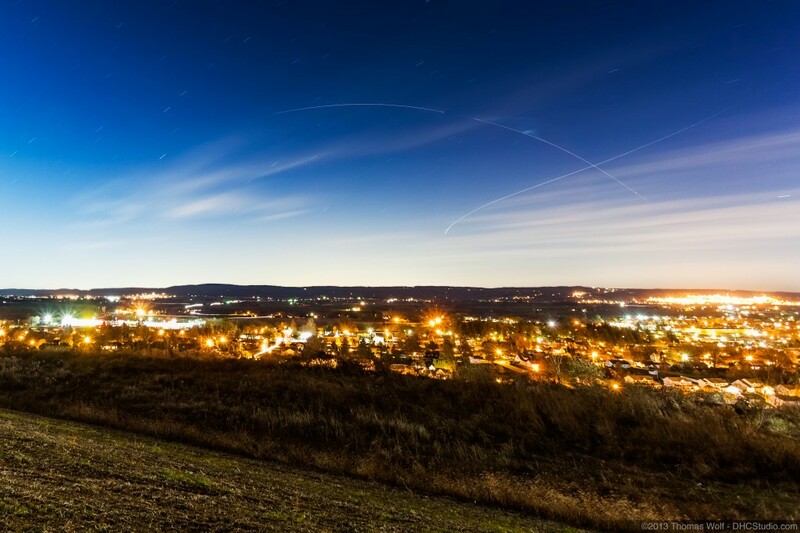 Even at night, the rocket may be hard to spot, especially if this is your first time. Haze, aircraft, and all kinds of things can be in the field of view to confuse you even more. If you’re with a small group of people, chances are that one of you will be able to spot it and point it out for the rest. Watch with friends to increase your chances! 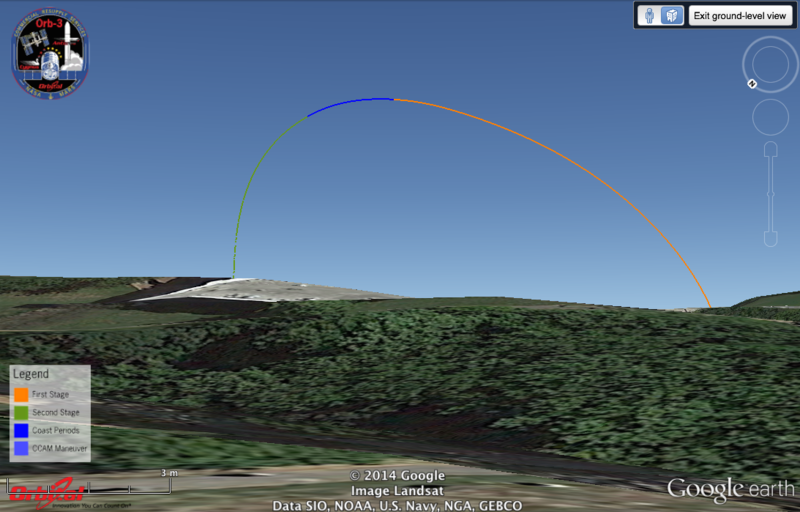 Watching and tracking rocket launches is challenging and fun, especially at night. Hopefully the weather from your location will cooperate and you get to see an amazing show. Good luck! 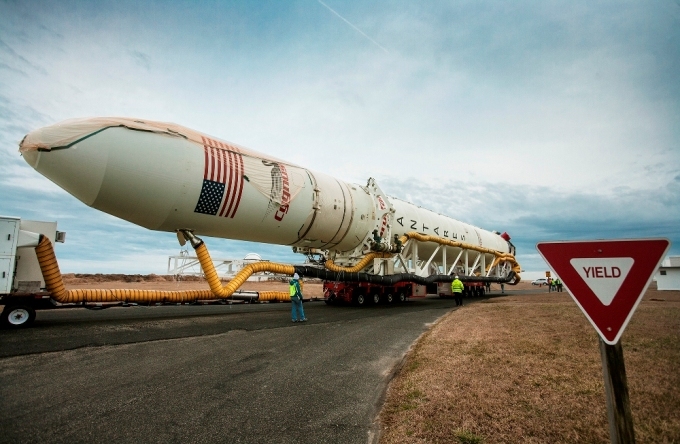 This coming Tuesday, November 19, the US Air Force will be launching a Minotaur I rocket from te Mid-Atlantic Regional Spaceport at NASA’s Wallops Island, VA flight facility. The mission, called Minotaur I/ORS-3, will be carrying twenty-nine (yes, 29!) satellites into orbit. 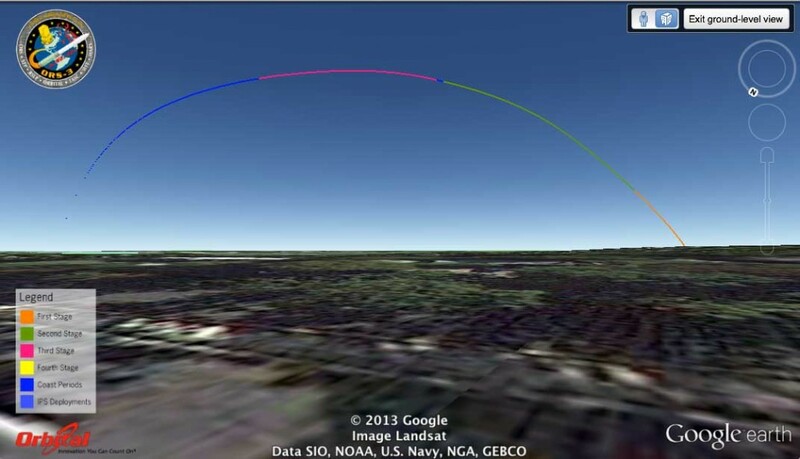 Best of all, it’s going to be a night launch so it should be very visible to everyone in the Eastern United States. Their site has several simulated ground views of where the rocket should appear from various locations such as Washington DC, Raleigh NC, Philadelphia PA, Liberty Park New Jersey, and New York City among others. The Minotaur is a solid-fuel rocket, which is ideal for viewing at night because it produces an orange/red “flamey” tail that’s relatively easy to spot. “Relatively” is the key word here because at the locations I’ve chosen, the rocket will appear as a tiny red dot moving quickly across the southeastern sky in an arc like what you see in the images above (except at night). The launch window is from 7:30 – 9:30 pm on Tuesday. Naturally, they’ll try to launch at 7:30 but keep in mind that the farther you are from the launch site, the longer it will take for the rocket to clear the horizon. 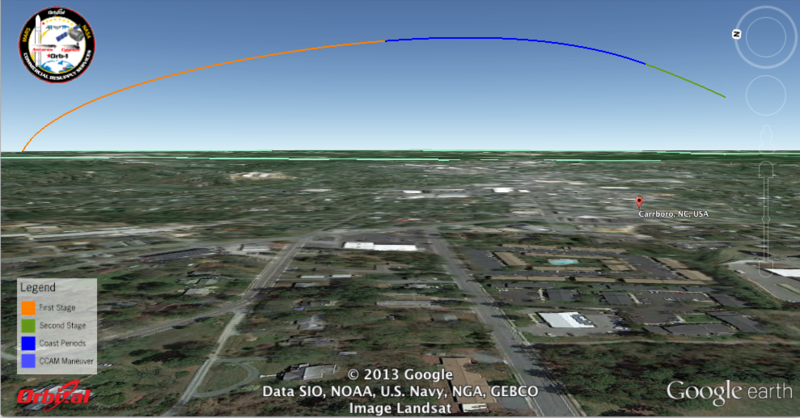 The images I show above assume a flat horizon all the way to Wallops, and we know that’s not the case. 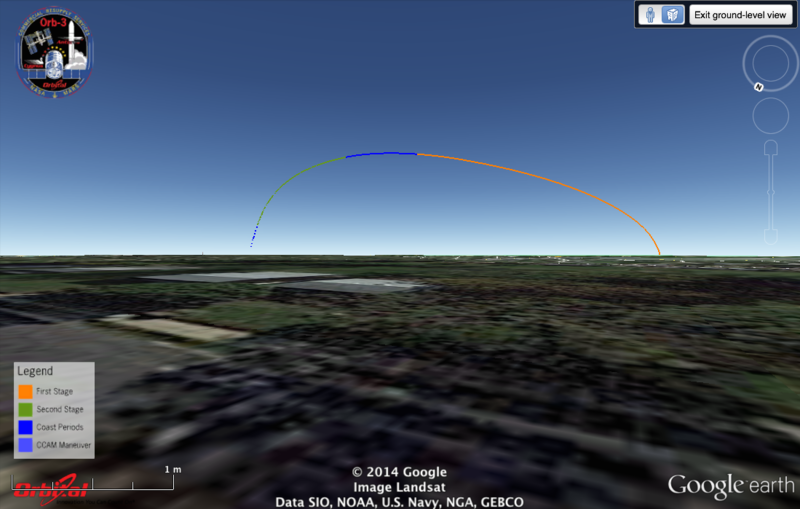 Fortunately, Orbital created a first sighting map to give you some idea of when you should expect to see the rocket clear the horizon (keep in mind though that it would have already moved slightly eastward by the time you pick it up). Minotaur is a four stage rocket, so it will appear to dim and then light up again a little further to the east as the expended stage is jettisoned and the next stage ignites. If you have a smart phone and a good 3G or 4G signal, you can monitor the countdown on the NASA app for iPhone or on Wallops’ live stream. Android users might want to check out the What’s Up at Wallops app, which contains a compass showing the precise direction for launch viewing[1. Sadly, there’s no iPhone version for that yet. Grrr….]. Even at night, the Minotaur may be hard to spot, especially if this is your first time. Haze, aircraft, and all kinds of things can be in the field of view to confuse you even more. If you’re with a small group of people, chances are that one of you will be able to spot it and point it out for the rest. Watch with friends to increase your chances!